As scientists, it is in our nature to question claims made by others and demand evidence to support such statements. It is only by questioning and engaging in meaningful conversation that we progress our understanding of the world around us and as humans. If people did not question we would still all live in fear of travelling too close to the edge of our flat earth, or would continue to poison ourselves with mercury trying to cure syphilis and typhoid. Nothing should be beyond being critiqued. And anyone who makes claims publicly, opens themselves up to questioning, with the onus of proof on them to support their claims. Especially if they are making claims to sell a product for financial gain. We were recently made aware of a video of a recent presentation (embedded below if you’re interested) by a certain individual given to a group of strength & conditioning students here in Ireland on self myofascial release as a means of injury prevention and rehab (specifically through the use of a piece of equipment called a “Back Baller”, which is essentially a device that holds foam rollers in place). During the presentation, there are a number of claims made that we believe are either misleading or totally incorrect, and it is troubling to think S&C students were been passed on this information. Our main concerns are with misinformation, misinterpretation of science and false claims made by anyone in the health and fitness industry. This purpose of this article is to examine these claims, look at their scientific merit and allow readers to make more informed choices based on evidence. This article is no way meant as an attack on someone as a person or their motives. To the best of our knowledge, this “presentation” was not something organized by the college and the students were unaware it would be happening. So any disagreement we have, lies solely with the claims made by the individual. We don’t need to delve into the literature to investigate the origin of this figure, simply because there is none. We can only assume that this number was plucked out of thin air but let’s humour the concept. Firstly, this statement would suggest that foam rolling is a pre-requisite for achieving high levels of performance and any athlete who is not engaging in this practice is somehow short-changing themselves. It insinuates that any athlete not using myofacial release via foam rolling is not “serious about sport”. Is mobility & recovery something that any serious athlete should be concerned about? For sure. But does that mean they need to use a foam roller for an average of 100 hours a year, (or about two hours a week) is completely unfounded. We would even go as far as to argue that athletes would benefit more from replacing this two hour per week “self-release” session and using that time to work on sport specific skills such as tackling, free-taking, non-dominant limb training etc. or on often neglected strength work (which coincidently will benefit a “tight” muscle more than any rolling could ever do). 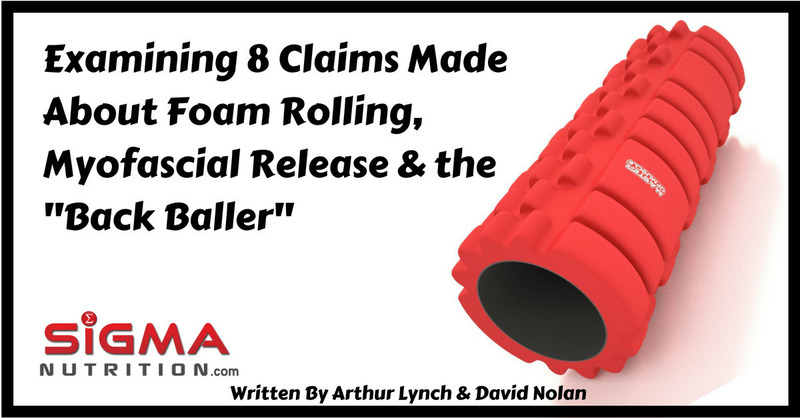 Conflicting evidence exists on the effect of foam-rolling on performance and foam-rolling as a recovery tool. Without a moderate body of evidence to support foam-rolling, how can a promotor suggest a quasi-‘dose-response’ effect by implying that increases in time spent using a foam-roller increases subsequent performance? Answer is, you can’t. This is loosely correct, but misleading. The presenter claims that everyone holds “tightness” in their trapezius muscles, suggesting the device shown may be the solution to these people’s’ problems. Firstly, people commonly do report tightness in this area. But it can only be improved through removal of the cumulative stressor (in most cases, people’s lack of movement). This is what governs this “tightness”. Rolling around on foam rollers isn’t going to make a difference in this regard. In the initial stages, the novelty effect of the rollers may provide a placebo effect leading to the perception that this tightness has released. But this is highly transient and based entirely on placebo and will not result in long lasting changes. This statement was made in the context of the latissimus dorsi muscle group, commonly called the “lats”. Several of the remaining claims will follow the same trend of implying that muscles develop “knots” and “tightness” which need to be broken-up or “kneaded” out. This concept is completely unfounded and lacks any evidence in the scientific literature. Rubbing a muscle with a roller, or by hand does not magically create these changes in a muscle. Your muscles are already soft and pliable, they have to be if they are to perform their function (lengthen and contract). As you will learn in the de-bunking of the next claim, our muscles cannot “knot”. And you are not “softening” or changing the tissue quality of your lats by foam rolling. Why do we exercise? To force adaptations in the body. And we must train extremely hard and regularly if we are to force any chronic changes in muscle tissue. It may sound like a nice concept, but foam rolling is simply incapable of delivering a stimulus which causes lasting changes at the level of the muscle tissue. So you don’t have “knots” in your muscle, and even if you did, a foam roller is simply incapable of causing changes to tissue. Where do we start? This is completely inaccurate terminology. A sarcomere isn’t a “knot” or a “trigger point”. 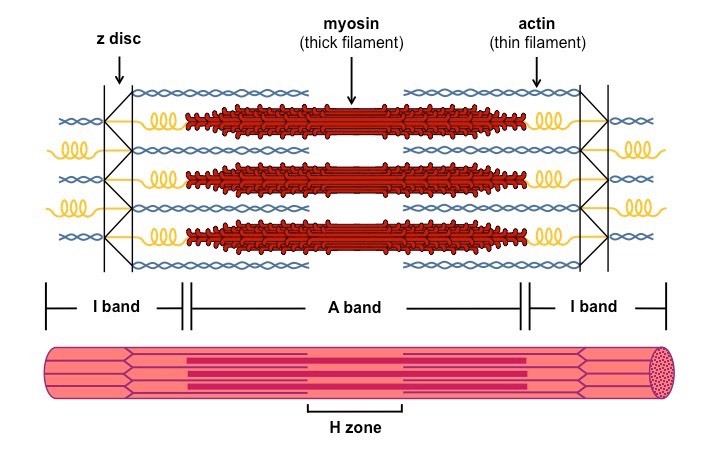 A sarcomere is the most basic unit of muscle contraction. It contains the structural proteins necessary to generate muscular force and therefore a contraction, leading to movement (or maintaining a particular posture). Be hesitant to “bash them out of it”. We shall elaborate more on this later, but for now consider something; if you apply pressure to a certain point on your quad and it produces significant pain, does that mean there must be a knot there? Or at the very least it is an indicator of something gone wrong, a warning sign of dysfunction in the muscle tissue, right? If we were to apply gentle pressure (we wouldn’t need much) to your eyeball, the top of your head, the back of your hand or the instep of your foot it would be quite painful. We wouldn’t however interpret this as a sign of something wrong. Pain serves as a protective function. We are equipped with mechanical nociceptors (internal sensors) which allow us to feel pressure and initiate a pain response when a potential risk of damage to tissues is detected (like being crushed). This is puzzling and contradictory. This claim says you can affect deep musculature with the back baller, with the proposed mechanism of action being myofascial release. Yet the myofascial layer is superficial. So how can it affect deep muscle tissue? If we refer to the mechanical model proposed by Chaudhry et al. (2008), changes in fascia length are not possible from the forces produced by lying on a foam roller. Even with a very strong manual therapist, changes in the length of the fascia won’t occur (we point readers in the direction of this article by Dr. Paul McCarroll for more on this point). The forces required to produce even a miniscule change in the fascia are well outside the physiological range. So, are you trying to convince us you can get even deeper than this? Here we see a claim that the ability of someone to apply a considerable amount of external pressure to an area with minimal pain is somehow an indicator of that muscle’s, tendon’s or ligament’s health. The ability of someone to apply their full bodyweight onto the area of the IT band is not in any way whatsoever a validated or appropriate way of indicating the health status of someone’s IT band. We won’t even get into the argument why saying a tight IT band is somehow a bad thing (best of luck if you have a really loose one). The presenter states that the more you roll this area, the more weight you will be able to put onto it overtime and that this shows an improvement in the health of the IT band. This is just plain wrong. Yes, if you repeat this procedure very regularly you will be able to apply more pressure to the area with less perceived pain. This is not however due to an improvement in tissue quality but more than likely just a desensitizing of the area. If you are familiar with traditional martial arts practices, you would know that the conditioning of certain body parts (namely the shins, hand, and forearms) has been common practice for millennia. These practices consist of repeated striking of the target body part against hard surfaces. Over time the level of impact and hardness of the struck object is increased. Eventually a combination of calcification and de-sensitizing of nerve endings enables the practitioner to strike quite forcibly with the body parts and experience minimal or no pain. Regular foam rolling of the IT band follows a similar concept, you are not improving tissue quality, but rather just becoming more tolerant (or de-sensitized) to the pain. By “do a groin” we’re assuming he means to strain an adductor muscle. We are open to correction if it means something else. Whilst it’s true that osteitis pubis (inflammation and/or damage to the pubic symphysis) is a common groin injury (and we’re being kind here by assuming this is what he’s indicating), the claim that the use of the back baller on the adductor muscle “staves off the injury” is complete and utter nonsense. How on earth could foam rolling modify the tissue loading that is primarily responsible for injury occurrence? And in the case of a genuine injury, using a back baller will likely only further aggravate the injury further. No evidence exploring the relationship between foam-rolling (time-spent foam rolling) and injury risk exists. Conflicting evidence exists concerning foam-rolling as recovery modality, with little confidence in its true effect. Again, this just shows a lack of awareness of the current evidence in this area. If by “elasticated”, it is meant that the foam rolling will lead to an acute increase in range of motion, well then yes that is correct. In the few minutes (literally) after foam rolling, you can get an increased ROM transiently. However, suggesting that this means it is an ideal time to engage in static stretching is incorrect. This claim demonstrates a lack of understanding in warm-up methods for athletes, especially as the context of this statement appears to refer to the “perfect preparation” for engaging in field-based sports afterwards. Static stretching just prior to field based sport performance would be ill-advised as it can have negative effects on muscular performance. Dynamic and higher-intensity sports specific warm-ups would be a superior option for field-based sports warm-ups. If the aim of the stretching following the foam rolling was to cause long-term improvements in mobility then again, another method would probably yield greater benefits. If the improvement of mobility is the goal, the short term increases in range of motion caused by the foam rolling could be exploited by engaging in loaded resistance exercise through the extended range of motion, thus strengthening the muscle in the lengthened position and improving mobility as a result. Mobility is about creating strength in a large range of motion, not about passive flexibility. Humans identify patterns where patterns often do not exist. Consequently, simply claiming that a product is effective by the observation of customer ratings or by feedback filtering through social media, is naïve and dishonest. The esteemed Daniel Kahneman, 2002 Nobel laureate in behavioural economics, once remarked that by claiming you know something, not only must that something be provable, but that you, as the promoter of this belief/knowledge, must be able to prove it. With that in mind, we have serious questions about the claims made by the presenter and promoter of the back baller device. We only felt the need to address this publicly as the presenter, Noel Marshall, is currently in a position of great influence, commanding a large social media following and employing high-profile ambassadors of this product. If Noel was to seek advice from evidence-based professionals, plenty of whom we would be happy to recommend, he could really have a positive impact on public knowledge and athletic practices in Ireland and internationally. Some current claims and recommendations in the back-baller promotion videos, such as disk re-absorption being aided by rolling the vertebrae, are both unfounded by the evidence and potentially dangerous. Ultimately, healthcare practitioners and sports scientists occupy a privileged position within the health and fitness industry; to educate medically-uninformed lay people and to advocate for human health. It is at worst, manipulative, and at best, negligent, to take advantage of people’s lack of knowledge for personal gain. You are simply causing a short increase in range of motion and a decreased perception of muscle tightness through neural disinhibition (essentially your peripheral nervous system telling your brain to ease off the brakes). Hopefully this piece has served as something informative for you the reader, or can be something you can pass on and share with others who could benefit from this information. If you enjoyed this article please share it on your social media and help spread objective, evidence-based and more importantly useful, advice.